Lots of businesses face unique challenges during the heat of the summer season. Some need to ramp up production to face increasing demand; others need to find new avenues for profit as the customer base dwindles. 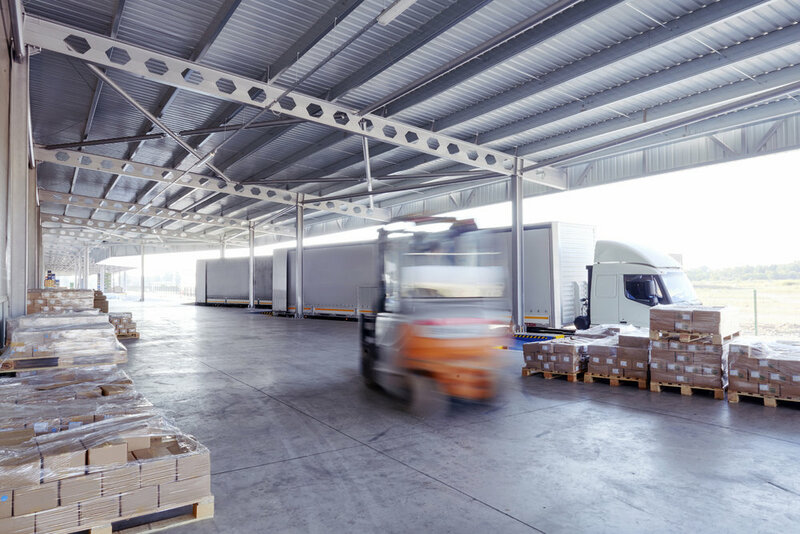 One obstacle that is often overlooked by customers and even by small business owners unaware of the logistics of their supply chain (which is an issue in and of itself): how warehouses that hold inventory prepare for the summer heat. Cooling an enormous, expansive warehouse space is a different proposition from cooling an office, and not doing so leads to two related but distinct problems: Inventory kept on overheated shelves can be damaged or destroyed, leading to wasted investment upfront and dissatisfied customers who either receive ineffective goods or have to wait longer than they want to receive a product down the line; and dismayed workers who have to toil in a hot environment, which can create high employee turnover and low morale generally. Inventory kept on overheated shelves can be damaged or destroyed. Install floor and ceiling fans: Keep the air from stagnating with fans both above and below. Industrial spaces are best served by high volume/low speed (HVLS) fans that effectively cover large areas. Buy or rent portable fans and air conditioners: Certain areas of the warehouse may need additional cooling power throughout the day, such as high-activity spaces like the packing station, so invest in devices that can move around without issue. Outfit your equipment to withstand rising temperatures: Warehouse infrastructure such as conveyor belts have friction points, which produce heat and can lead to system failures. Simple maintenance such as checking the bearing seals or reducer oil can help prevent overheating. Properly insulate walls and use efficient doors: Make sure your walls keep the cool air in and the heat out; and install screen doors that keep air moving while protecting the space from bugs, particles and other contaminants. You can also use vinyl-strip curtains between rooms in the warehouse to keep the heat of one area from spreading, without impeding productivity. As Benjamin Franklin once said in regards to fire safety (a different kind of heat concern), “An ounce of prevention is worth a pound of cure.” One common mistake that warehouses make is trying to cap their expenses by not running the air conditioners or fans too much, hoping to reduce costs. The cost of replacing destroyed inventory, both in terms of dollar amount and the blow to the reputation of the company, far outweighs the heightened energy bill. There may also be increased time and expenses dedicated to medical issues in a warehouse that is too hot. Related Article: Is It Really Possible to Run A Flexible, Smart Warehouse? Another important cost is insurance for inventory: Service costs must be factored into the “real costs of carrying inventory,” and getting coverage for damage due to natural disasters, theft or accidents is common. Failing to do so may result in having to eat the cost of damaged goods, which has a ripple effect: A company that doesn’t receive money for its product and has to invest more to replace it ties up more capital in endeavors that don’t include marketing, maintenance, growth and more. Finally, large up-front investments such as replacing or restoring a roof with a “cool roof” with white, heat-reflective paint can pay massive dividends in the form of lower energy costs, reduced heat build-up and a longer life. The longer inventory sits on the shelf of a warehouse, the greater chance for damage of some kind to occur. Heat isn’t the only variable, there’s the risk of employee or outsider theft; intense cold (in the winter months, of course); and issues with items that have a short shelf life or life cycle. The trick is to only carry enough inventory to satisfy demand, rather than dedicating time, energy and money towards maintaining a dwindling inventory in hopes of moving it all. Too much inventory on hand is a problem not only when items become damaged or deteriorated, but also if not enough is moved during the proper season, for example, if a business still has tank-tops and shorts in stock by the end of summer, those items will either have be held onto until the following year or marked down That’s where a quality inventory management system comes in. Automated inventory management software helps businesses track how much inventory is on hand, where that inventory is located, whether it’s still work-in-progress goods or arriving at a customer’s front door, and how much more will be needed in the short- and long-term. For years, businesses tracked inventory using spreadsheets, manual counts and guesswork, which leads to unnecessary overhead costs. By keeping a balanced inventory turnover ratio (the cost of good sold divided by average inventory), small businesses don’t spend too much on inventory reorders and maintenance costs, nor do they spend too much on emergency shipments and rush deliveries. For summer months, the biggest issue is having too much inventory, and thus, too much risk, on the shelves rather than in the hands of customers or located along other parts of the supply chain. Shockingly, 48 percent of small businesses polled in the Wasp State of Small Business Report say that they don’t track inventory or use a manual process for doing so. Meanwhile, massive retailers like Amazon that use barcode-based automated inventory management systems can literally put incoming inventory anywhere they’d like on the shelves and let their software track specific product location as well as the most efficient routes through the warehouses in order to fulfill an order. This allows the company to move millions of shipments in and out of their doors without extended stays on the shelves, reducing heat-related issues. 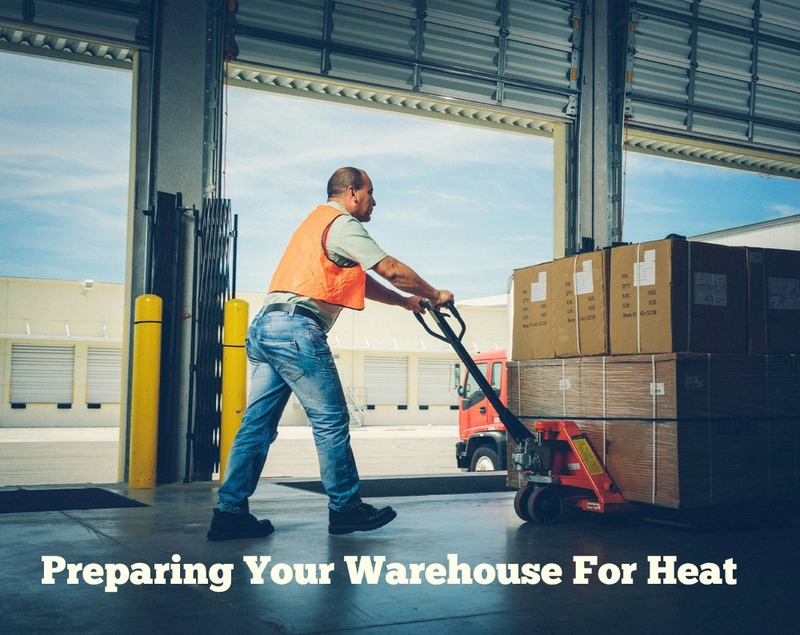 In the end, the strategy for preparing a warehouse (and the inventory held within) to survive the summer is two-fold: Outfit the warehouse with the right equipment and infrastructure to withstand, reduce and eliminate the heat; and create a system in which inventory doesn’t remain at the warehouse long enough to experience heat-related damage. These upfront investments will be worth it, to both your products and your workers, and make for a more cost-effective business and productive workforce. How efficiently does your company currently track warehouse inventory? Jay Schofield’s passion is numbers. For more than 10 years, he has been turning facts and figures into actionable business intelligence for System ID. When he’s not researching, analyzing, and planning for the “next big thing,” Jay can be spotted on the lake with family and friends.